The damaged Japanese light aircraft carrier “Zuihō” in the battle for Cape Engango – in his last fight. The Battle of Leite Island. The aircraft carrier “Zuihō” died on October 25, 1944, carrying out the mission of distraction of the 3rd American fleet from the San Bernardino Strait. 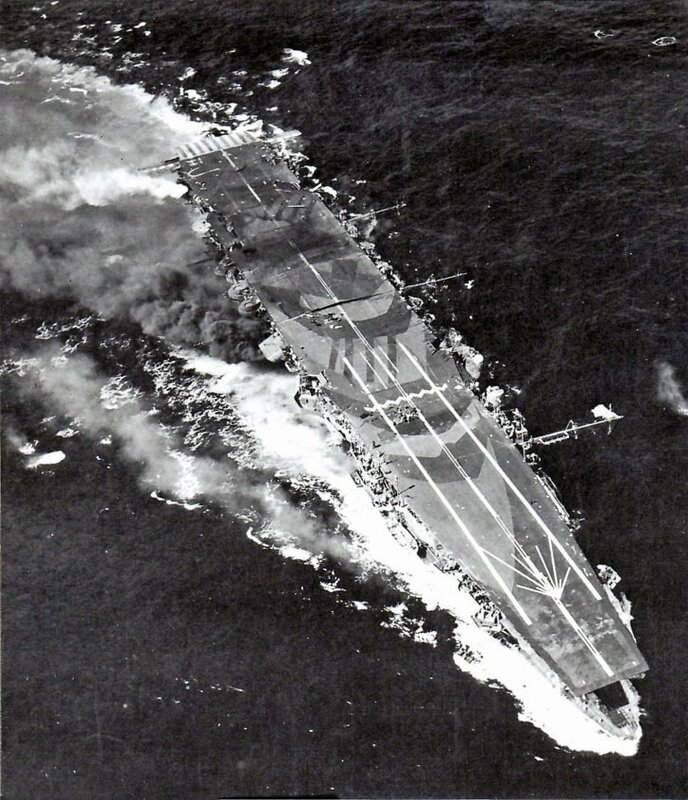 It was attacked by American deck aviation, 2 torpedoes and 4 bombs hit it, more than 10 bombs exploded nearby and at 14.26 the aircraft carrier sank. The commander of the aircraft carrier, Kaizuka Takeo, was killed along with the ship.